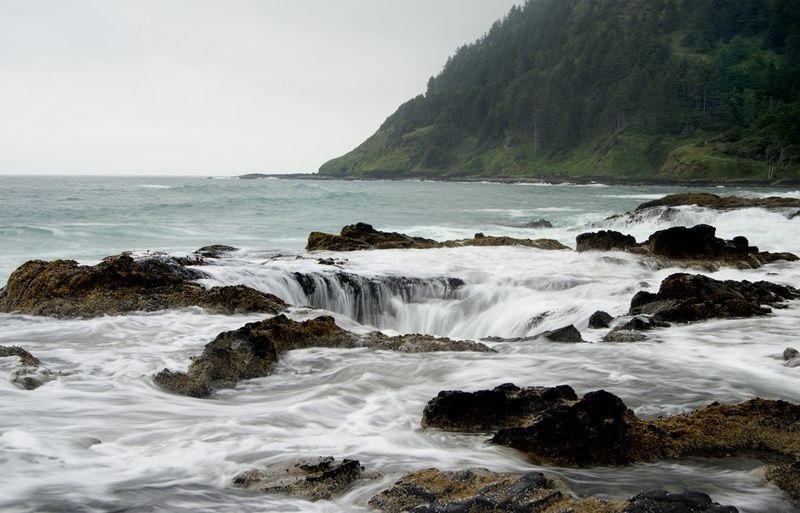 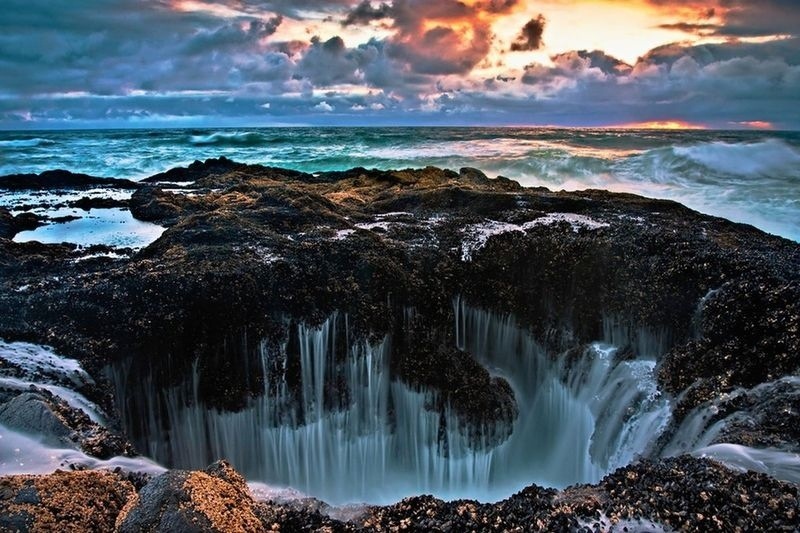 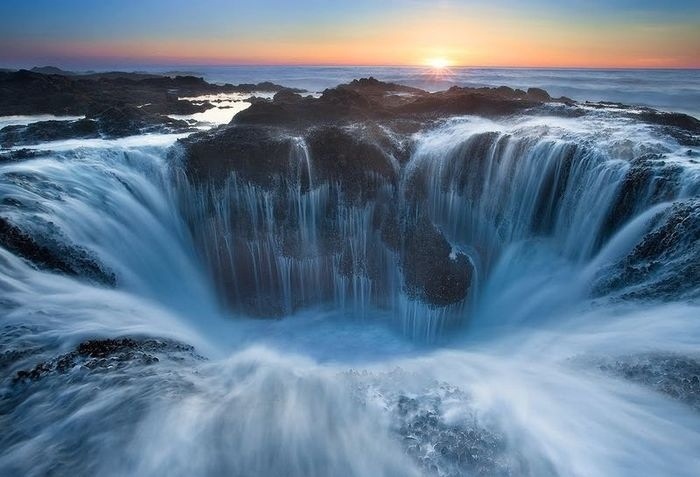 Thor’s Well is part of Cape Perpetua, a typical Pacific Northwest headland –A forested area of land on the central Oregon Coast, surrounded by water on three sides. 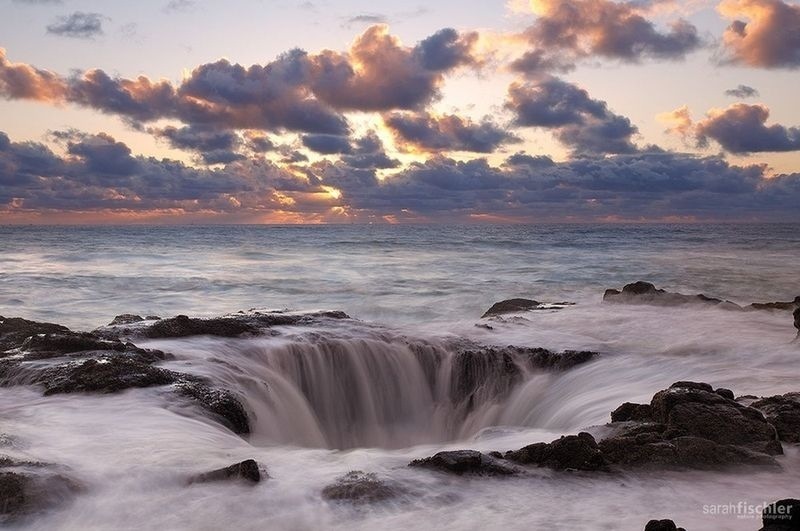 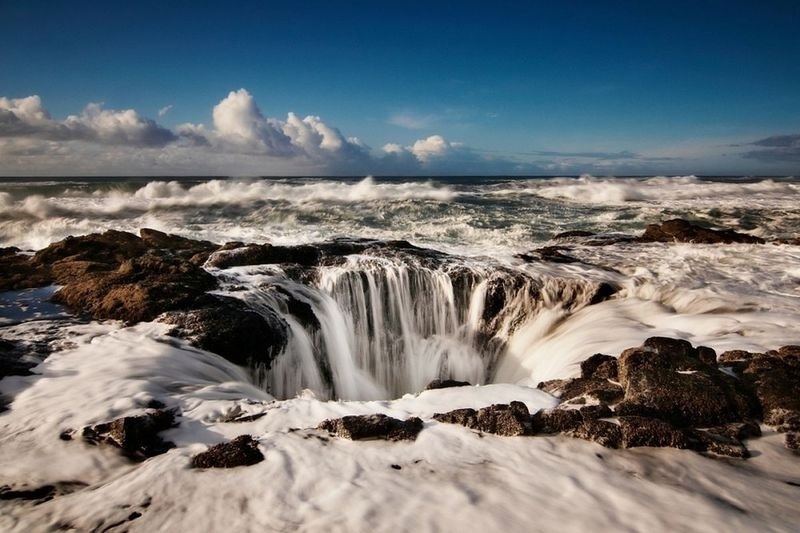 Thor’s Well is also often simply called the Spouting Horn. 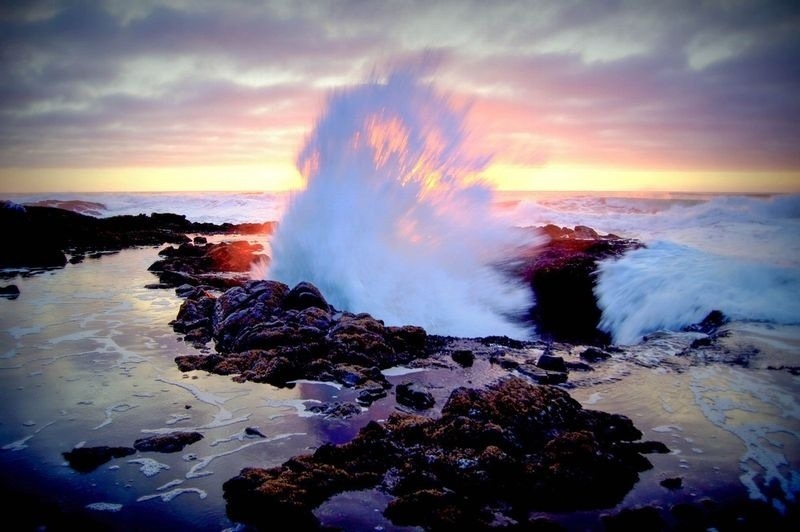 It is essentially a huge salt water fountain operated by the Pacific Ocean’s power. 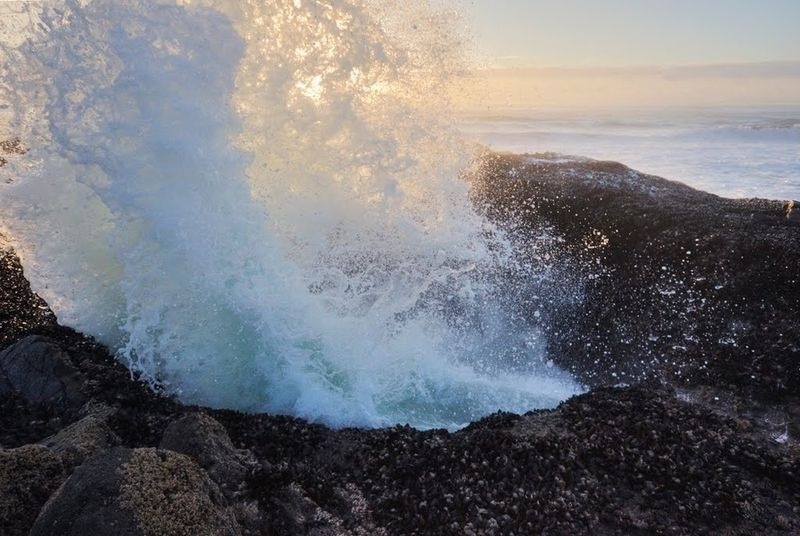 This natural spectacle is at its best when it’s the most dangerous to watch – at high tide or during winter storms. 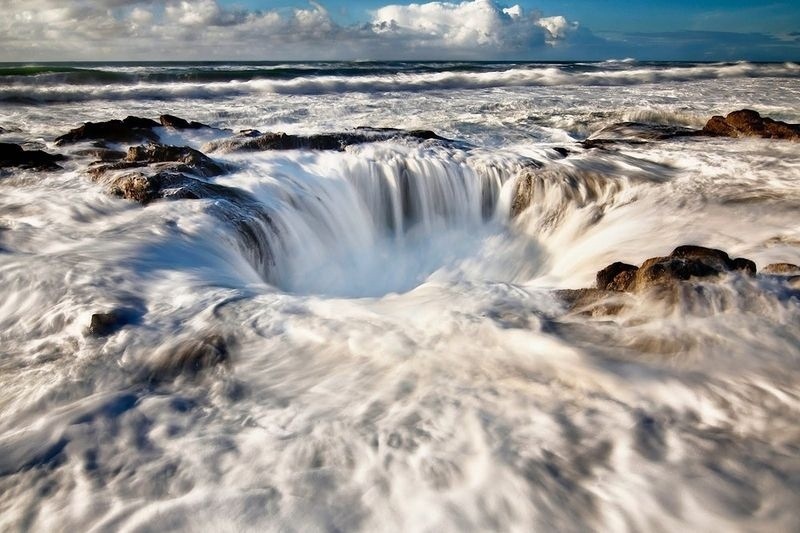 The hole can be seen from the parking area at the far end of the rock shelf on the north side of Cook’s Chasm.